Great inside look at a major catastrophe! I especially liked the setup for this major facility and how the accident (?) began. And the short-term and long-term after effects. It's hard to believe the many mistakes and the major sacrifices many people made to get this started and then under control. Again, short-term and long-term. Especially, the one ego-maniac that ignorantly caused this almost single-handletly, except for the poorly built facility, and the poor quality control and lack of proper finances and controls that should have prevented something like this; but actually helped cause it. However, they actually helped contribute to the mess. It was hard to stop listening to in most parts. BUt I did and was sad to hear it as the story was almost over. I highly recommend this audio book! Good. book overall but I was expecting more. The book does a good job of giving the background of the events leading up to the infamous day. And the descriptions of the torpedo attacks, and ultimate sinking, are also do a good job of describing the horror and suffering about that event. But the aftereffects lead a little to be desired. 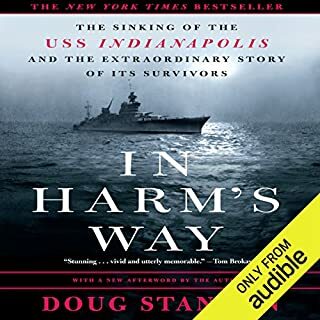 I think the author did of good job of giving a brief description of the overall sharks attacks and suffering of the individual sailors and marines. Rather than going into intimate detail of every individual's sufferings. However, overall, I was expecting more from the book overall from beginning to end. Especially after the ship sank. I first learned about this ship and sinking in the movies Jaws like many other people. But never had the interest in learning more about the ship's sinking. 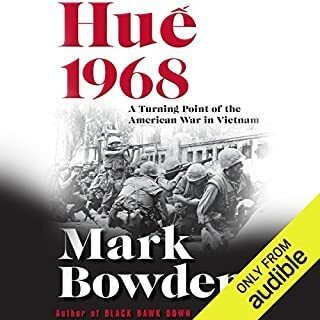 Having, recently listened to many audio books dealing in previous U.S. military battles and wars brought me to this book. I like a book that grabs you from the beginning and that I can't stop reading or listening to until the book concludes. And this book didn't do that for me. It taught me much and I'm happy for that. The book also does a good job of trying to make it clear this horrible incident wan't the captain's fault. I am sorry he wasn't cleared in his lifetime. Nevertheless, i wouldn't read or listen to the book again. Rather, I'd look for another book on the subject to learn more and get a different perspective. Great book overall. I loved the pre-history and setup for the quick planning and prep in the race in space. And the short bios on each astronaut and his wife and their personal strengths and weaknesses. And how the families prepared their children for the flight. The NASA bosses and others doubts and overcoming them after seeing the possibilities of a great success was also very interesting. 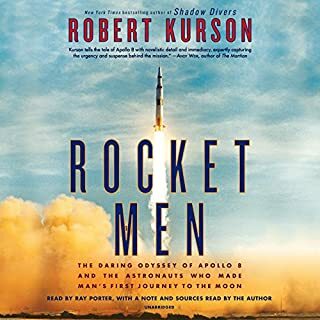 The description of getting into the Saturn 5 rocket powered space craft and description of the sounds, vibrations and fear of the unknown was the best I’ve ever heard or read about Apollo launches. I felt like I was in the rocket before and during launch. What a feeling! The trip to and orbits around the moon was also very good. As was the history of how bad things were in the U.S. during 1968. I was 10 years old then and remember the turmoil of that year well and thought it was the beginning of the end of my country. And this trip to the moon during Christmas helped change the mood for the country and world; at least for the moment. The trip home from the moon was also very good. Especially the accidental reset of the astronauts place in space. But the rest of the trip home seemed a bit short, brief and rushed. I wish there was more substance there. Nevertheless, the trip was a great success after a horrible year. And these men have been heroes of mine my whole life. And like the book, I think this flight was overshadowed by the later moon landing flights. But like others, I think these three astronauts were truly the leading pioneers. And this audio book was hard to stop listening to when I had to. And I would listen to it again. Especially the launch prep and launch sequence, liftoff and entry into space. 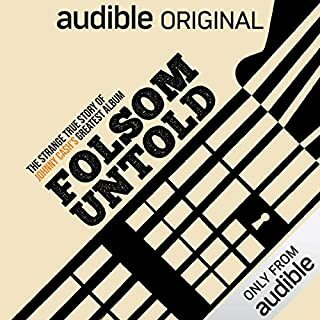 I highly recommended this audio book! 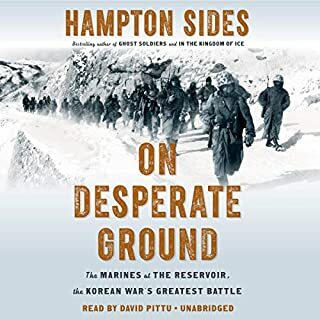 Great (audio) book on the greatest invasion of all time. Ambrose gives balanced points of view from all sides of the big day. He does a great job of providing the Allies invasion planning and the German’s preparations for an invasion; especially Gen Erwin Rommel’s. He also gives highlights and errors on all sides that occurred prior, during and after the invasion began. Ambrose does this based on 100’s if not 1,000s of interviews. The book goes into great detail, sometimes a little too much detail, about events and items related to the invasion. But I loved hearing the book commuting to work and back home over a week or so, and more at home late in the evenings. 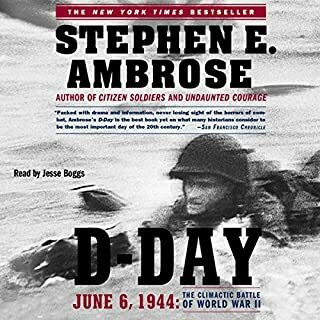 Ambrose does leave out some important details for the invasion preparation like using Gen George S Patton as a diversion and the great respect and fear the Germans had for his aggressive style and considered him the Allies best fighting general. Ambrose also leaves out a lot of the fake armies and fighting equipment used to deceive the Germans that Calais would be where the invasion would come from. Which overall, they already believed. 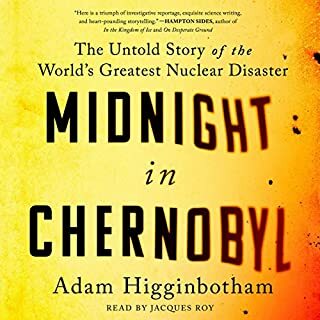 However, this is a great book on the big day and one I would listen to again to hear the parts that I missed while distracted or doing other things while listening to the audio book. I highly recommend this book as I do others by the Ambrose’s. But the battle seems to take place in two days, while it was really many more. And leaves out a lot of the details of the battles and fighting withdrawal. First 3rd of the book gets 7 stars, middle 3rd 4 stars and last 3rd 2 stars. It starts out great but falters during the middle and end. Chesty: the story of Lieutenant General Lewis B Puller, USMC does a much better job covering the battle and fighting withdrawal of this battle. I was disappointed overall even though the book starts out very well! Interesting story and interviews. But a couple of British gents researching and interviewing a concert and it background, participants and backstory were not was I was expecting. Especially, the backstory about the ex-con. Though I was sort to hear about his story and ending. Disappointed to say the least with the audio book. I like the version portrayed in the movie Walk the Line on Amazon much better! Which I own in my Prime Video Library. Helped me understand this battle and the larger offensive much better. Good narrator that told the stories well. I listened to it daily on my one hour commute to work and back each day. It really helped kept me involved during the drive and made it more bearable. 1at audio book I listened to completely. And I would sand may listen to it again.